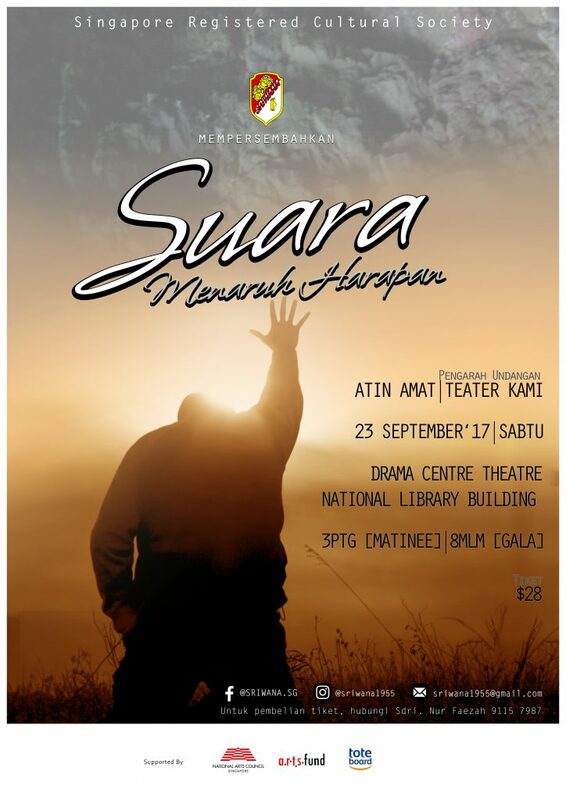 SUARA tells a story of a woman who dreams of a happy marriage. After marrying an ideal man and giving birth to a child, she faces a harsh reality of life. Her acts and behaviour is deemed unacceptable to her husband who has been patient all this while. His patience has its limits. Will the husband be able to remain patient? Will the dream of an ideal marriage continue to be filled with rays of happiness or will it crumble? With engaging arts forms such as theatre, music and dance, we hope to allow the audience to immerse themselves in the showcased journey and reflect on the similarities between the showcase and their own versions of reality. This production blends a realistic social issue and the traditional myth of “Batu Belah Batu Bertangkup” to increase the aesthetic value of the production. The myth that is often told in Malay households features a mysterious cave that engulfed a mother after she came home to find her portion of dinner being eaten by her children. While there are different interpretations of the myth, the common understanding is the strong value of filial piety towards mothers and the negative impact of greed. Adopting this tale, SUARA similarly features a cave that physically separates the husband and wife following a series of conflict between them. Beneath these conflicts lies a communication breakdown which is prevalent among the society today. In this production, SRIWANA hopes to bring forward the importance of communication within a family and how social support from family members as well as members of public can help. SUARA also showcases the positive impact of communication in building positive relationships. Directed by Ms. Atin Amat (2011 Cultural Medallion Recipient), be sure to not miss this exciting dance-theatre production! For tickets, please contact Miss Faezah at 91157987 or Miss Farhaanah at 97281437.